Right click “This PC” and click on “Manage”. On the left pane: click on “Device management”. Open up “Human Interface-devices (HID)”. Right click the “Microsoft Hardware receiver” (it might be named differently at your pc) and click on “Properties”. Head to the “Energy” tab. Uncheck “Allow the computer to turn off this device to save power”. Thanks! I was running into the exact same problem, and had switched to an older keyboard that aggravates my RSI. Now I’m back to the sculpt and a lot more comfortable. I did exactly what you said, and the space bar is still sticking. 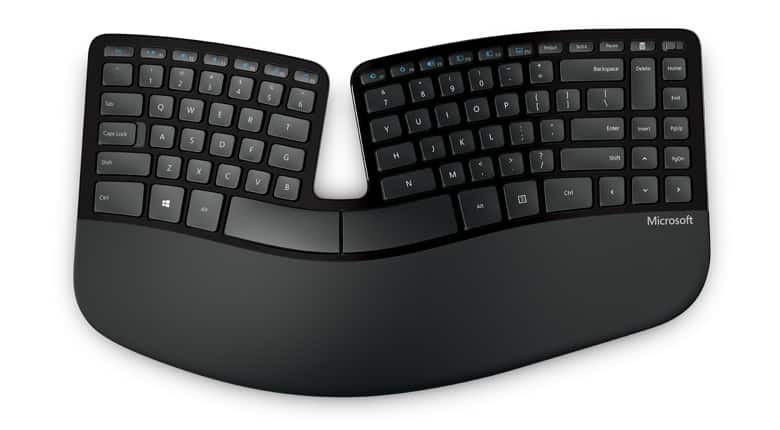 Do you think it is just this particular keyboard, or is it an ongoing problem with the Sculpt? FYI there is a common issue with the F3 key getting physically stuck down on its right edge. It commonly happens after wiping off the keyboard because that can depress F3 while pushing it to the right. Symptom is that you can’t type a capital letter “C” (because of the way the key scan codes overlap – on any 101-key keyboard, with F3 depressed, the keyboard code for Shift-C is obscured). To work around it, you just nudge the F3 key to the left and t pops up. I wonder if your space bar could get stuck similarly. Thank you. Worked for me too. Ticked off power management for all devices under HID because I couldn’t tell which one was the keyboard. I wonder if this also fixes the problem I was having with the first key I click now registering after time away from the computer. Dont work. Still have the issue. For me, It would stick on whatever the last key was pressed and sometimes I had to unplug the USB receiver from the computer to make it stop. So I applied this fix to all USB Input Devices because the only Microsoft Hardware Item I had was a Microsoft USB Mouse and I use a Logitech mouse. So anybody who still experiences the problem may need to do this to all USB Devices.